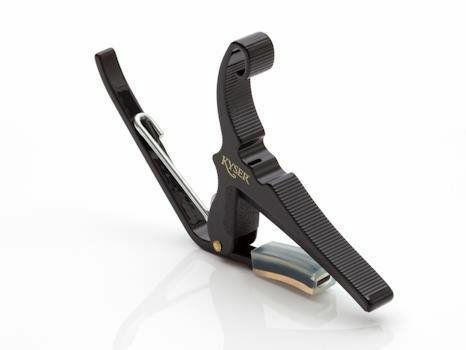 The Performance Capo's revolutionary new mechanism allows ultra-precise placement and clamping – without pulling the strings of your instrument out of tune. 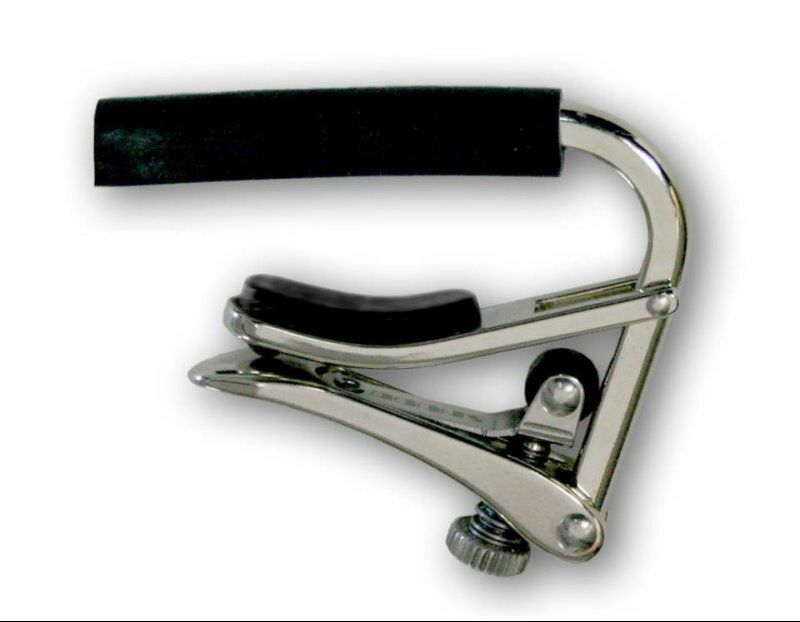 The capo is a constant source of frustration to guitarists. They can be awkward to use. They can pull your guitar out of tune. They can interfere with the players hand. 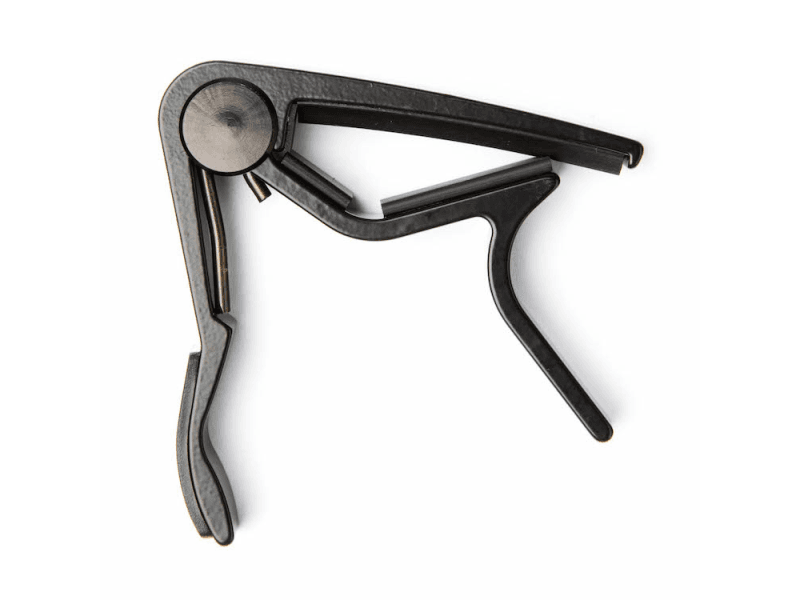 Most guitar capos fall into 2 categories. 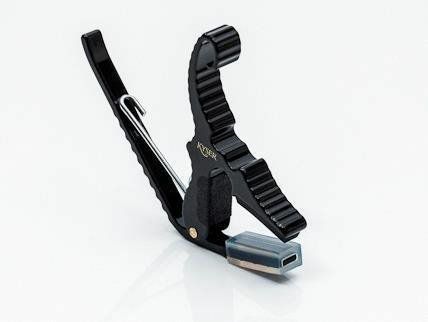 These capos usually work using a strong spring. They are simple and quick to use, but the spring tension cannot be adjusted, so they exert a different tension on each fret, and often cause tuning problems. They can also require a lot of strength to use! 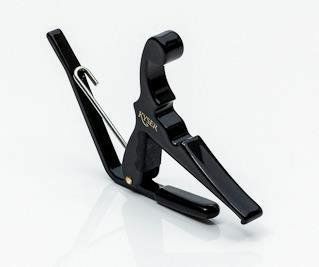 A good adjustable capo is less likely to cause tuning problems. However, many are awkward or fiddly to use. Some have only stepped adjustment which is too crude. Others have awkward shapes which interfere with the player's hand. 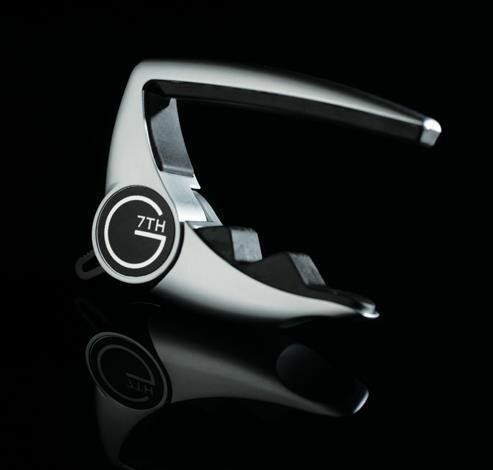 The G7th Performance capo's patented clutch mechanism has none of the problems of existing capos, but all of the benefits! 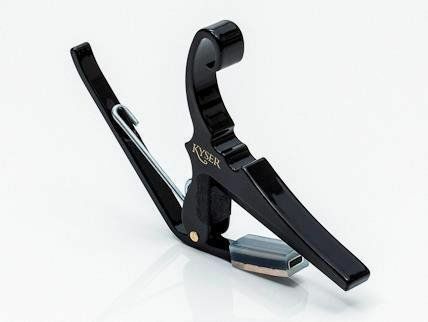 Rotation in the other direction, to tighten the capo onto the strings, is not restricted. To release the capo, the control tang is moved in the direction to unwind the spring, thus releasing the clutch. The beauty of this type of clutch for this application is that it can be adjusted in tiny increments, allowing precise control over how tightly the strings are pressed down. Exciting new upgrade ... same old price.